Mercedes opened their Formula One season by dominating practice at the Australian Grand Prix on Friday, with Nico Rosberg edging his world champion team mate Lewis Hamilton in both sessions at Albert Park, in Melbourne. 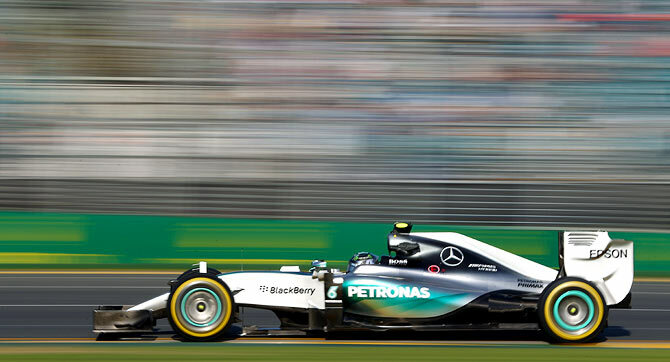 German Rosberg, last year's championship runner-up, set the fastest lap of one minute, 27.697 seconds in the second session on a glorious day at the Melbourne street circuit, topping Hamilton by one-tenth of a second. Rosberg was also quickest in the first session, his best time of one minute, 29.557 seconds also pipping the Briton as the constructors' champions carried their ominous form from winter testing onto the track. "Definitely it's been a great day for us today in the cars, so we're very confident for tomorrow," said Rosberg, last year's winner at Albert Park. 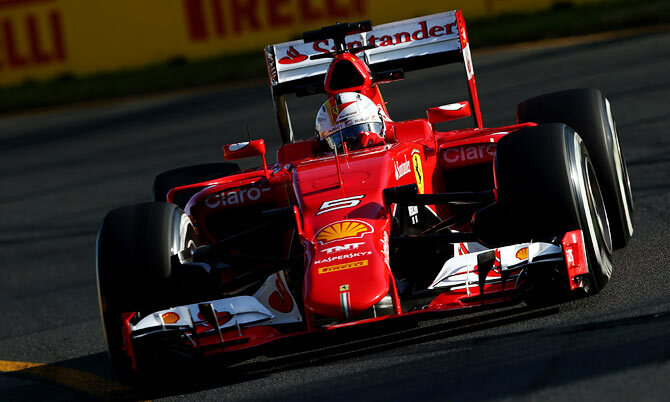 Four-times world champion Sebastian Vettel was third fastest on his debut for Ferrari in the second session, with team mate Kimi Raikkonen fourth best. But with Vettel's fastest time over seven-tenths of a second adrift of Rosberg, the opening day will strengthen belief that the first rounds of Formula One may be Mercedes versus the rest. While the 'Silver Arrows' toasted a trouble-free afternoon, Sauber's legal problems overshadowed the paddock, with their assets under threat of seizure pending a contempt of court action brought by lawyers for dumped driver Giedo van der Garde. With an Australian court ruling in favour of Van der Garde's bid to race for Sauber, the Swiss team had three drivers in their garage competing for two seats. Neither of their cars came out in the first session but Sauber's nominated drivers Marcus Ericsson and Felipe Nasr both drove the second. Swede Ericsson was to crawl back to pit with smoke billowing from the rear of his car midway through. Williams driver Valtteri Bottas posted the fifth fastest lap, with Red Bull's new recruit Daniil Kvyat sixth in the second session. Kvyat's team mate Daniel Ricciardo, the only driver to win a race apart from the Mercedes drivers last year, was forced to sit out the second after an engine problem, a fate also shared by Williams driver Felipe Massa. Toro Rosso's 17-year-old driver Max Verstappen impressed with the sixth fastest time of the first session, before falling back to 14th quickest in the second. Manor Marussia, having only recently emerged from administration, were unable to put either of their cars on the track.